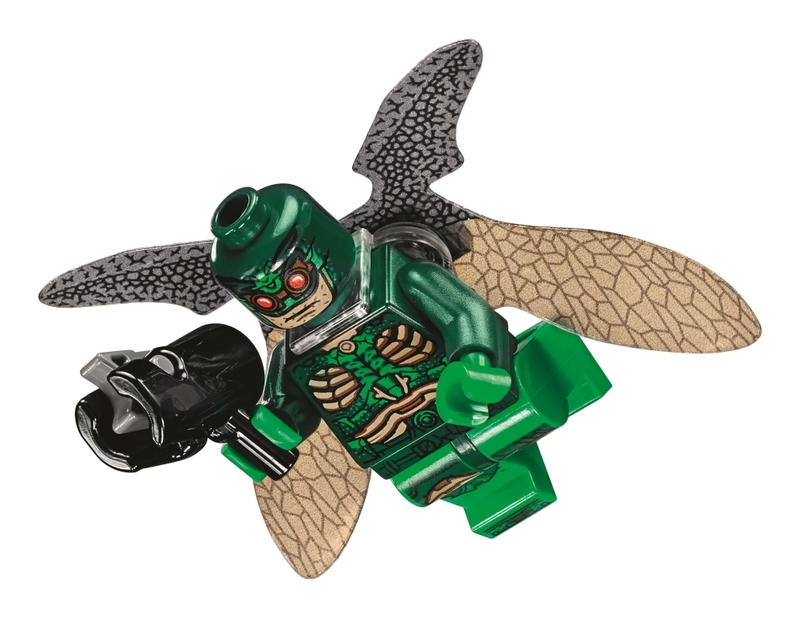 Another week and some more LEGO sets being revealed; this time for the upcoming Warner Bros. DC Comics JUSTICE LEAGUE movie. 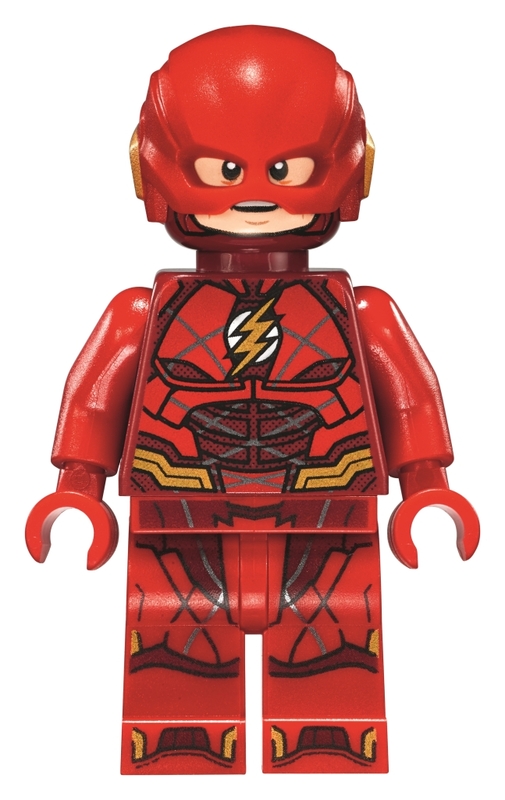 For those living under a rock JUSTICE LEAGUE is an upcoming DC Comics superhero movie that sees Batman and Wonder Woman assemble a team consisting of Flash, Aquaman, Cyborg and eventually Superman to protect Earth from Steppenwolf™. 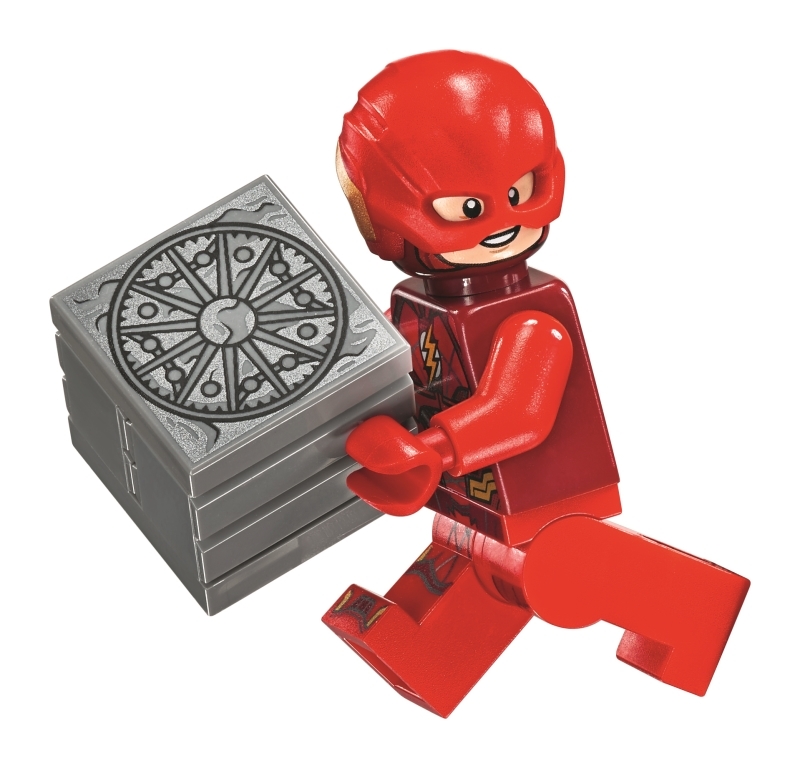 The film is directed by Zack Snyder and stars Ben Affleck, Henry Cavill, Gal Gadot, Jason Momoa, Ezra Miller, Ray Fisher, Ciarán Hinds, Amy Adams, Willem Dafoe, Jesse Eisenberg, Jeremy Irons, Diane Lane, Connie Nielsen, and J. K. Simmons. 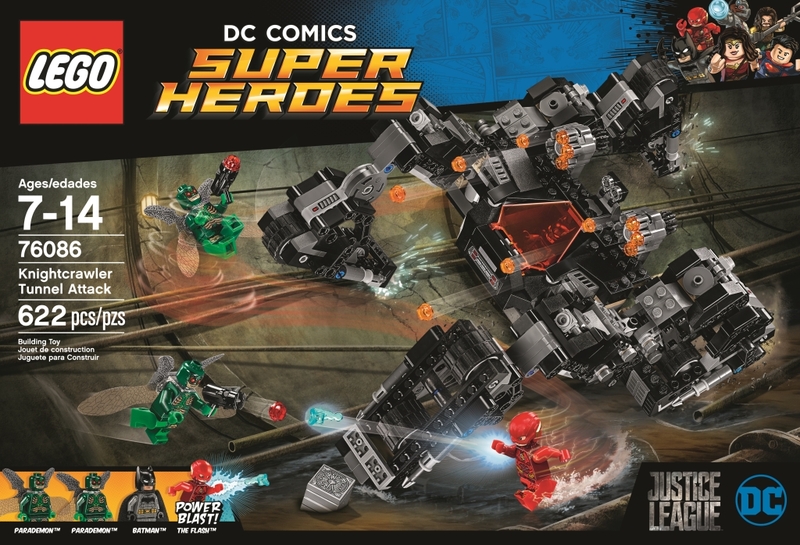 I am so looking forward to the whole line being revealed but for now check out these amazing sets below.Feel free to discuss these amazing sets in the HDN DC thread. 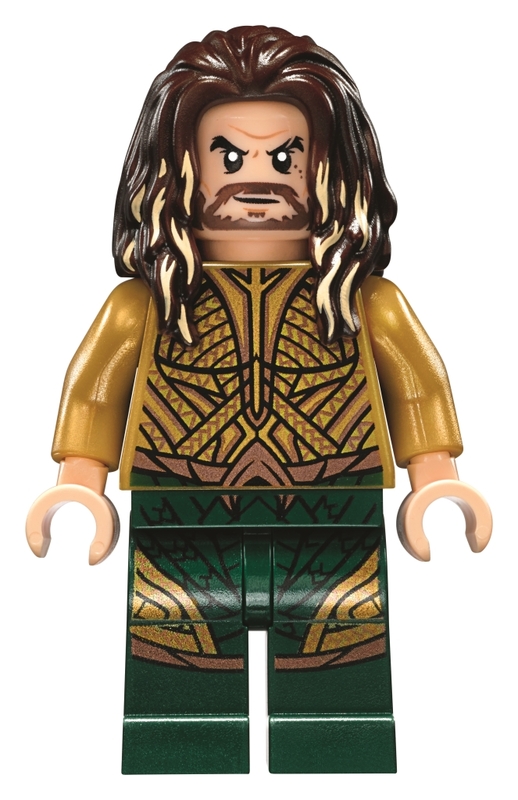 Be sure to pick up all the LEGO sets when they release on August 1st and see the movie when it releases in November! 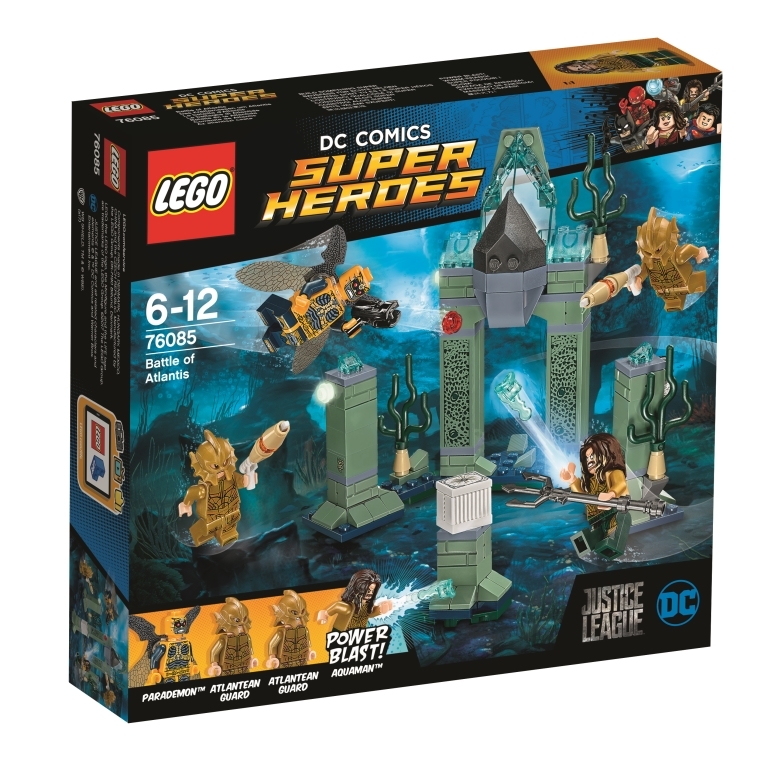 Team up with Aquaman™ and the Atlantean guards to stop the super-jumping Parademon™ stealing the Mother Box in this all-action LEGO® DC Comics Super Heroes Battle of Atlantis set. 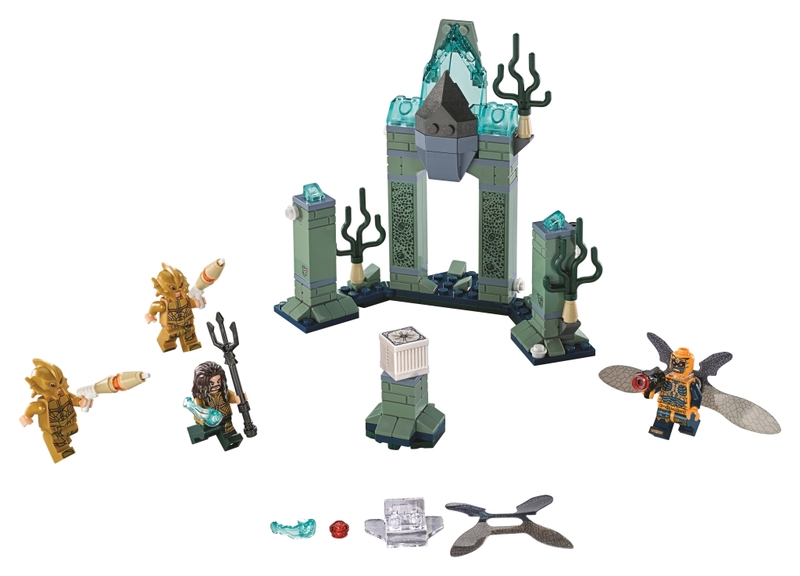 The underwater Atlantis scene features a grand arch to knock over with the Parademon’s Super Jumper, 2 pillars with reed elements and seaweed elements.. Also includes the Mother Box and 4 minifigures (Aquaman™ with new-for-August-2017 scale armor decoration, a Parademon™ and 2 Atlantean guards) with assorted weapons including Aquaman’s 2 Power Blasts and trident, the Parademon’s stud shooter and the Atlantis guards’ Atlantean PlasmaGuns to add to the role-play battle fun. 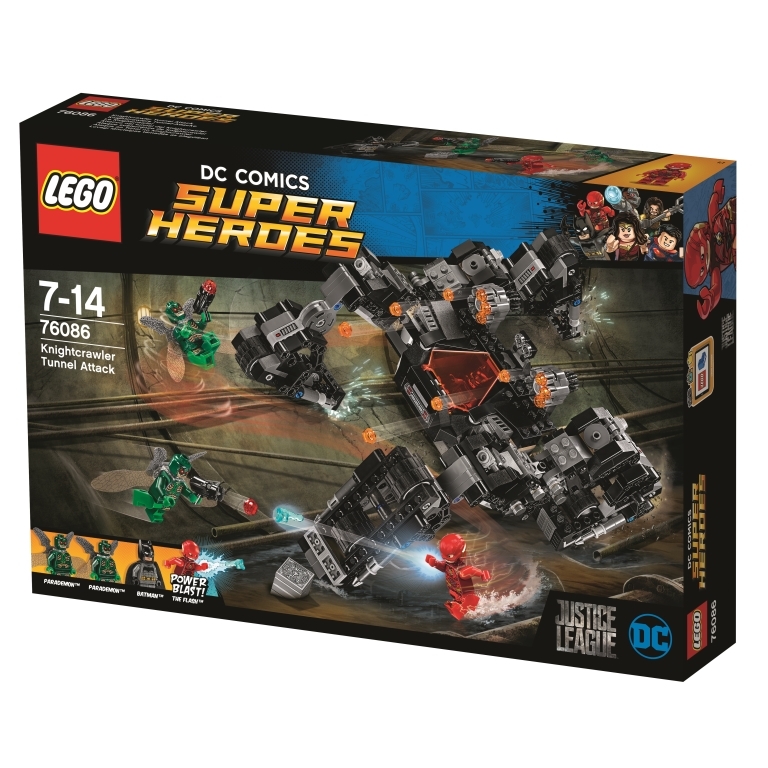 Drive and crawl with Batman’s all-terrain vehicle and reclaim the Mother Box from the evil Parademons, in this exciting LEGO® DC Comics Super Heroes Knightcrawler Tunnel Attack set. 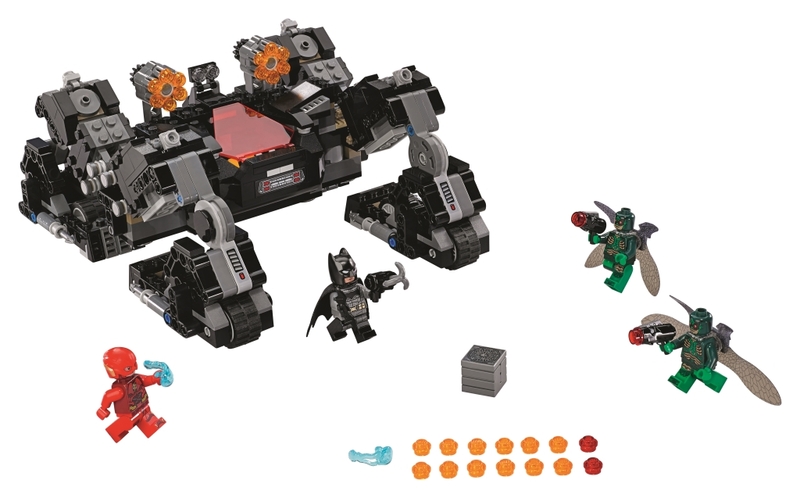 The Knightcrawler features 4 posable limbs, each with 2-wheel tracks, plus dual 6-stud rapid shooters and an opening cockpit for Batman™. 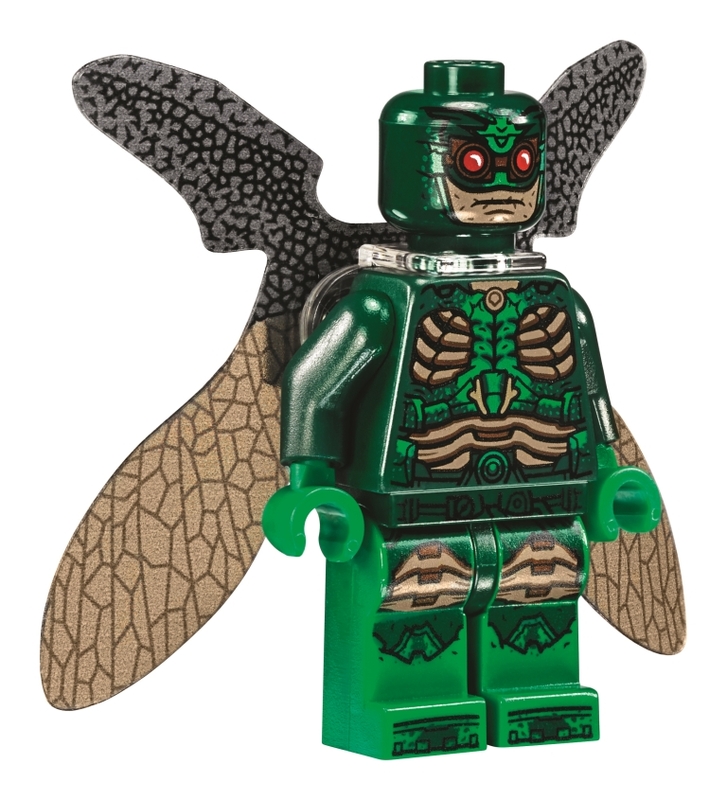 Also featured is an opening minifigure cockpit with translucent-red windshield, dual 6-stud rapid shooters, 4 posable limbs, each with 2-wheel tracks for drive or crawl modes. 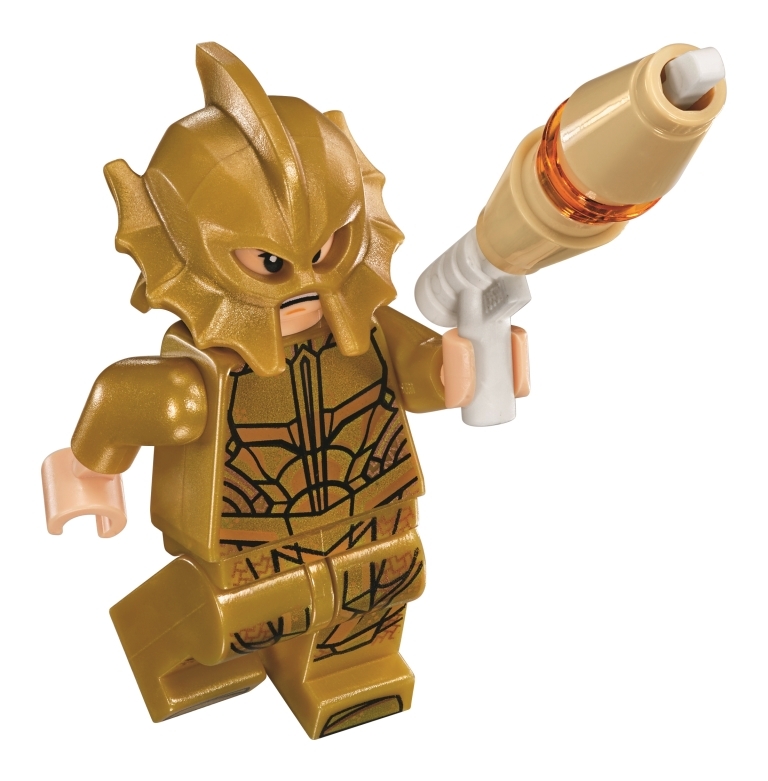 Includes 4 minifigures (Batman™, The Flash™ and 2 Parademons) with weapons—including Batman’s Batarang, The Flash’s 2 Power Blasts and the Parademons’ handheld stud shooters—to ramp up the role-play battle action. 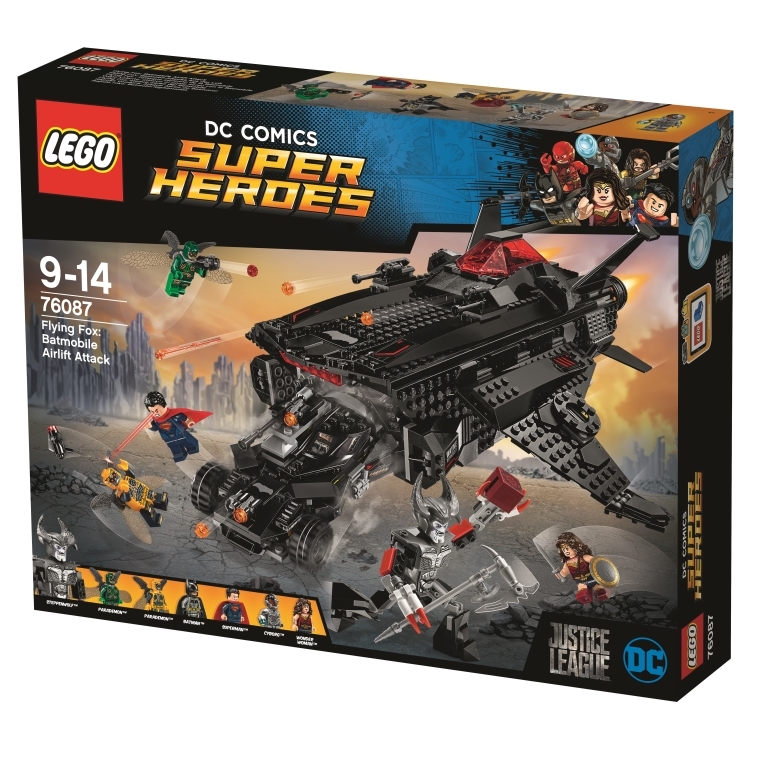 Team up with the Justice League against Steppenwolf™ and the Parademons to claim the precious Mother Box, in this exciting LEGO® DC Comics Super Heroes Flying Fox: Batmobile Airlift Attack set. 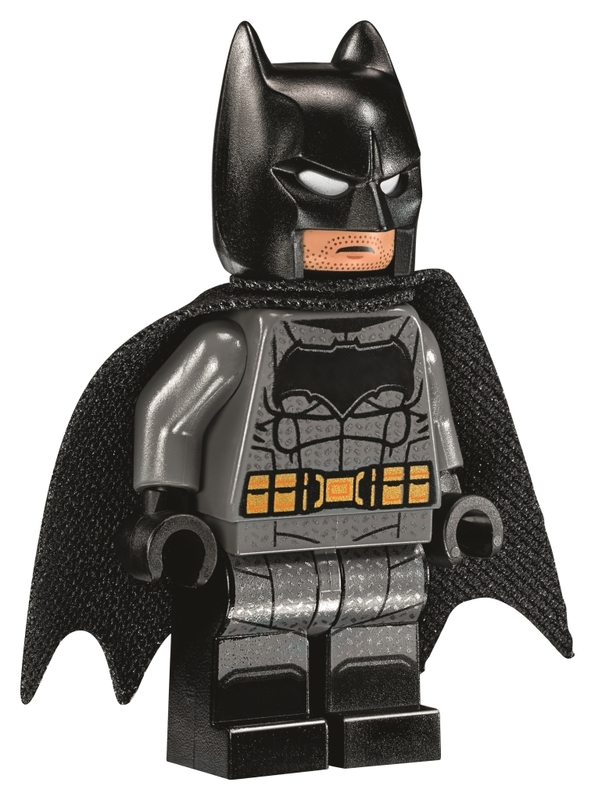 The Flying Fox features a 2-minifigure cockpit with a lift-off canopy, 2 spring-loaded shooters, 2 stud shooters and space inside for the Batmobile. 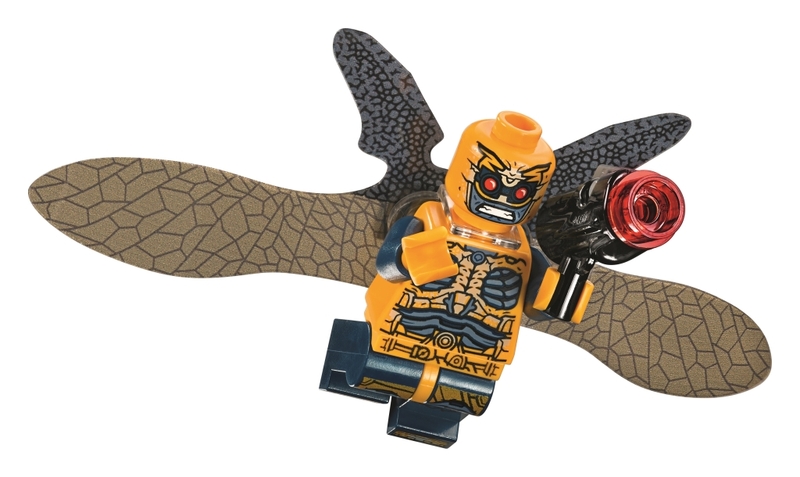 The Batmobile features an opening cockpit, 3 stud shooters and adjustable wings. 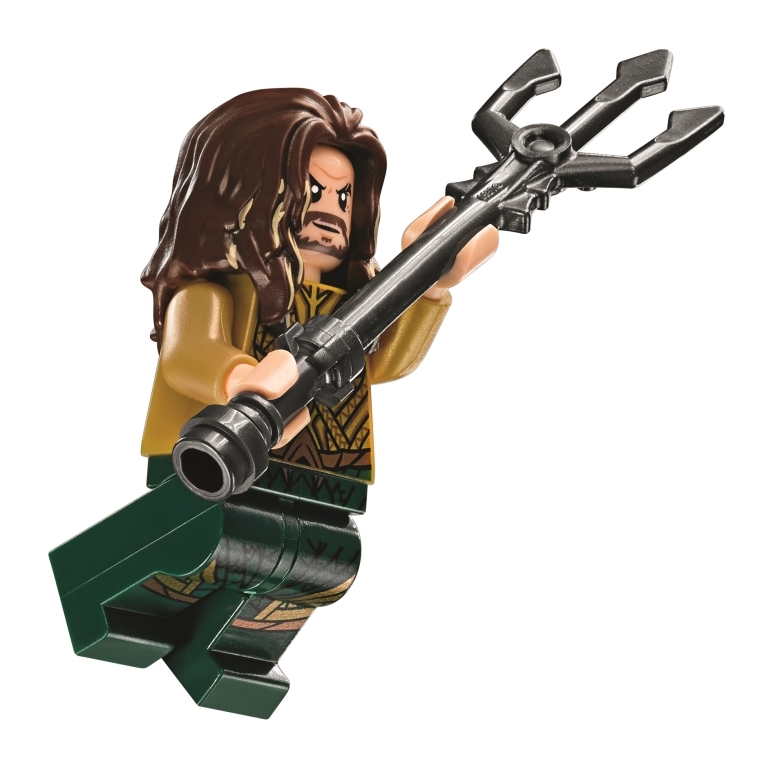 Includes 6 minifigures (Cyborg™, Batman™, Wonder Woman™, Superman™ and 2 Parademons) with weapons—including Cyborg’s attachable stud-shooting arm—plus a Steppenwolf big figure.